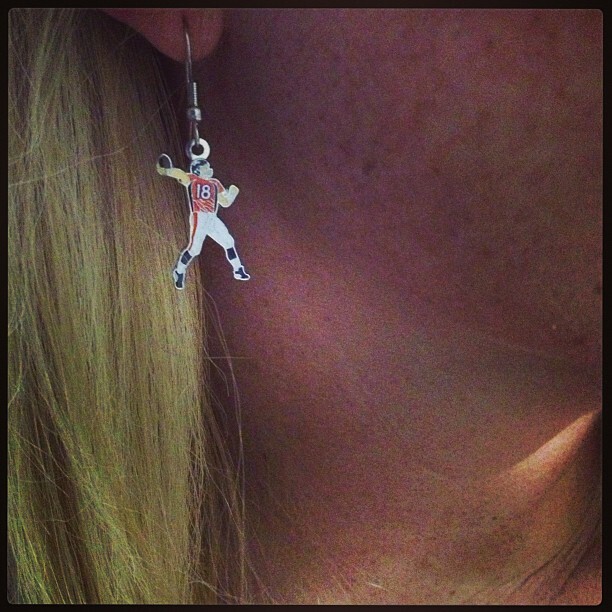 My wife’s love of all things Peyton Manning is no secret. Since this blog’s inception back in 2011, I have written around 15 posts about her obsession infatuation with #18. 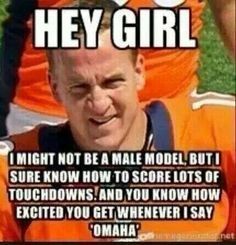 While Tammy can’t really remember when she became fascinated with Peyton, which evolved into the rest of the Manning clan (Cooper, Eli, Archie, and even all of the wives), she knows his appearance in Super Bowl 50 this Sunday could be the last time he takes the field. This year marked Peyton’s 18th season in the NFL, so just about everyone knew his career was winding down, including Tammy. But she still teared up a little when she heard what he told New England coach Bill Belichick after the Denver Broncos knocked off the Patriots to advance to Peyton’s fourth Super Bowl. Even if this wasn’t going to be Peyton’s “last rodeo,” I had already decided that this year Tammy and I would be watching the Super Bowl at home… and alone. What my Bears shirt looked like back in 2014. It’s a lot worse for wear now. When it comes to football Tammy and I tend to get a little superstitious. 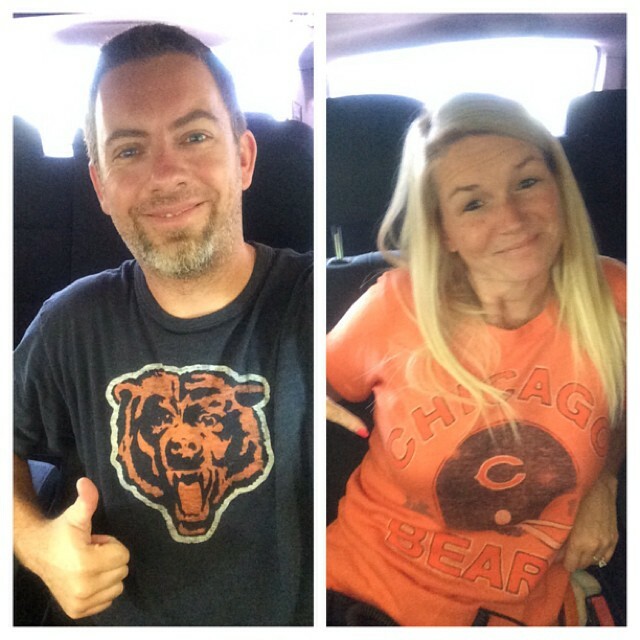 For example, when we started going to The Green Beetle to watch Chicago Bears games, I made a rule that if the Bears won we couldn’t wash our Bears shirts and had to wash them after every loss. Unfortunately the longest winning streak the Bears has since 2013 was only three games, which meant our shirts got washed a LOT. 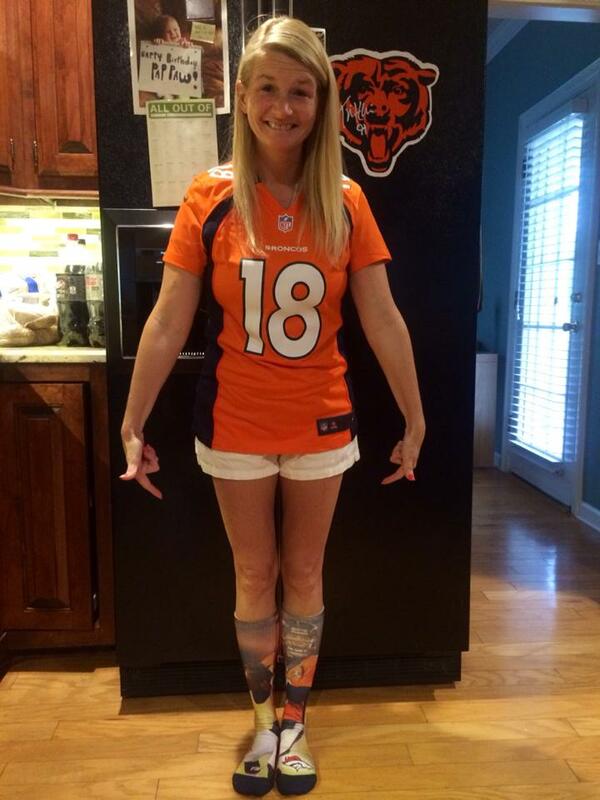 Last year Tammy had a lot of Peyton superstitions that she implemented during the Broncos games. Depending on the importance of the games she’d throw on some combination of her Peyton earrings, her Peyton jersey (that she complained about how much I spent on it) and/or sweatshirt, and her Peyton socks. 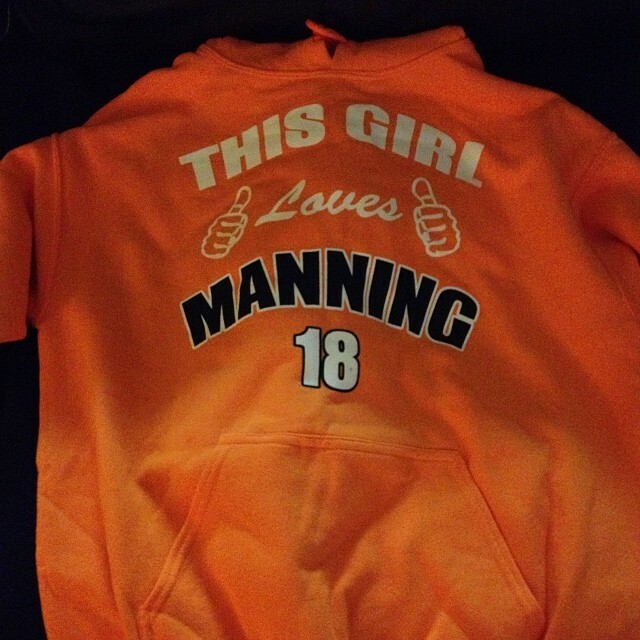 During Peyton’s end-of-the-season and playoff run, Tammy’s only worn her “This girl loves Manning” sweatshirt while hugging — and sometimes hiding behind — Lil Peyton. 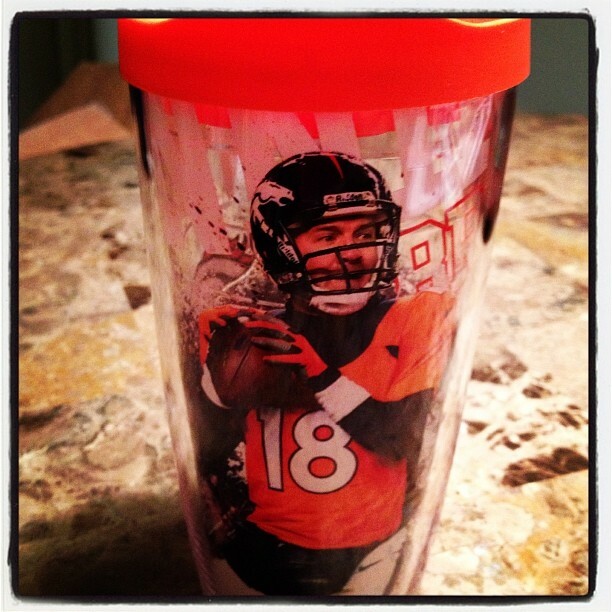 Since that’s what was worn to get Peyton to the Super Bowl, that’s what will be worn during the Super Bowl. 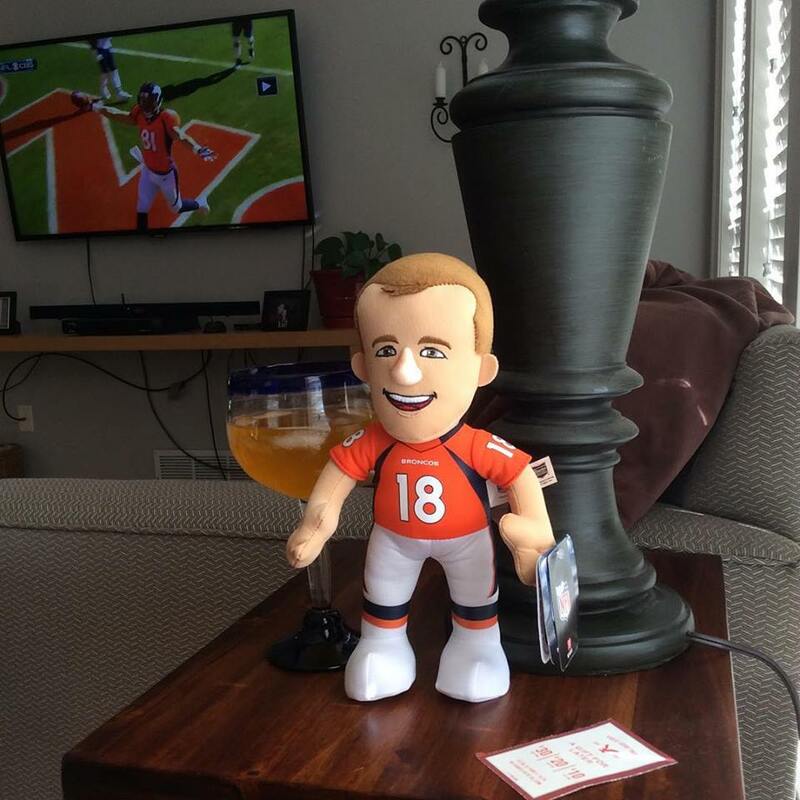 Lil Peyton guarding Tammy’s drank during the game. Lil Peyton celebrating with Tammy after the game. By now you are prolly wondering what all of this has to do with why we have to watch the game alone. It’s not because Tammy tends to yell at the TV during Broncos games, and has been know to throw out a few salty words on occasion. The reason we aren’t watching the game anywhere but our house is because Peyton is 0-2 when we’ve watched him play Super Bowls anywhere else. For the record, he’s 1-o when we watch the Super Bowl at our house (in Illinois) — a 29-17 win over the Bears in Super Bowl XLI. We watched Super Bowl XLIV (Colts vs. Saints) at some friend’s house and Tammy was devastated when Peyton threw a pick-6 (interception returned for a TD) that sealed a Saints victory, 31-17. It was torture having to be there for the rest of the game. Since we had moved to Memphis when Super Bowl XLVII (Broncos vs. Seahawks) rolled around we didn’t think anything about it when some friends invited us over to watch the game. I even had the great idea of live blogging about the night in an attempt to capture the experience of watching a Peyton game with Tammy — without her knowledge. While the links above are pure gold from a humor standpoint, the game was a nightmare for Tammy. So, since this will most likely be Peyton’s last rodeo, we’ve decided to go back to what was successful and watch the game at home. Tammy will be in her recliner, wearing her sweatshirt and alternating between hugging and hiding behind Lil Peyton. I’ll be sitting in my recliner, trying to live blog what’s happening. Although the fact she knows I may be doing it could prove difficult. 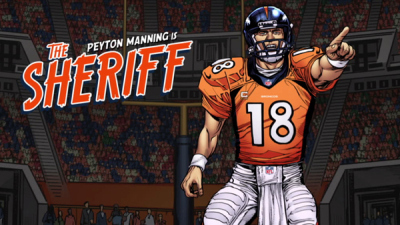 Together we will be hoping Peyton (and the Broncos) can pull out a victory to send “The Sheriff” riding off into the sunset as the champion Tammy already knows him to be. Gallery | This entry was posted in Daily Life and tagged daily life, Football, humor, NFL, people, Peyton, Peyton Manning, relationships, sports, super bowl, Tammy, TV. Bookmark the permalink. 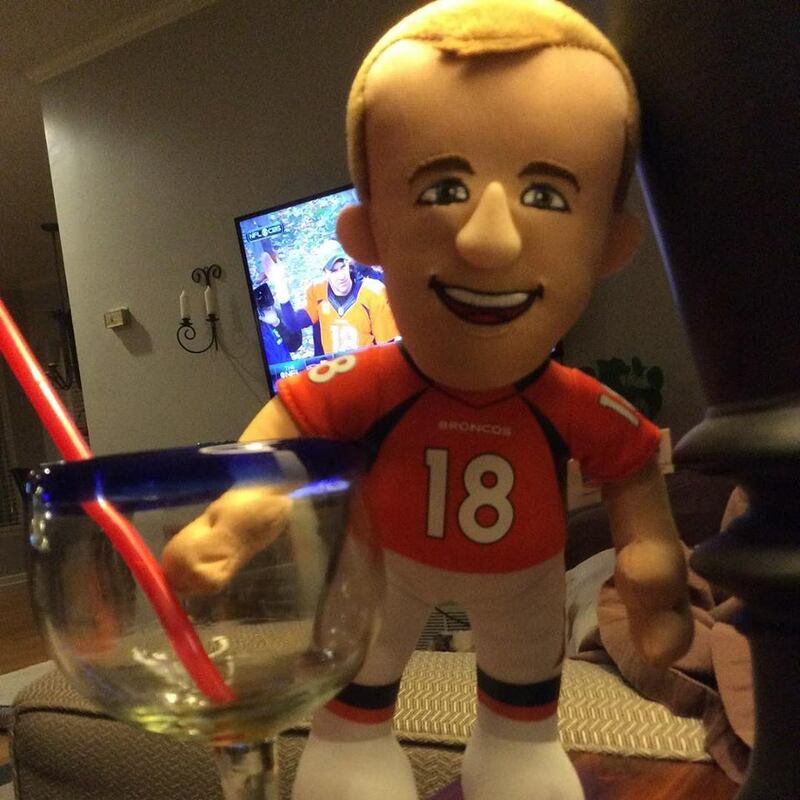 OK, I may be having nightmares about where Lil’ Peyton will be showing up next. He’s cute, but a little disconcerting.